#GivingTuesday is a national movement to kick off the holiday season in a unique way by giving back to your local non-profit organization of choice. In the same way that retail stores take part in Black Friday and Cyber Monday, the giving community is coming together to show their support on one specific day, Tuesday, November 28,2017. It started six years ago as an online campaign dubbed “#GivingTuesday” and has gained tremendous momentum with people participating all over the country raising much needed funds for thousands of non-profit organizations. Join millions of people who have begun the tradition of making a gift to support their non-profit organization of choice after a day of holiday shopping filled with deals and steals and endless cyber shopping. Join the #GivingTuesday movement and make a donation below! People are compelled to give to causes they can relate to or that effect someone they know directly. Share your story on social media to tell others why they should support the Arc. We may feature your story here, too! Tell us about how The Arc of the Gulf Coast has supported you and the I/DD community. No one tells better stories than the voices that should be heard! Post a photo online using the hashtag #MyGivingStory and #GivingTuesday and direct people to arcgulfcoast.org/givingtuesday to make their donation. 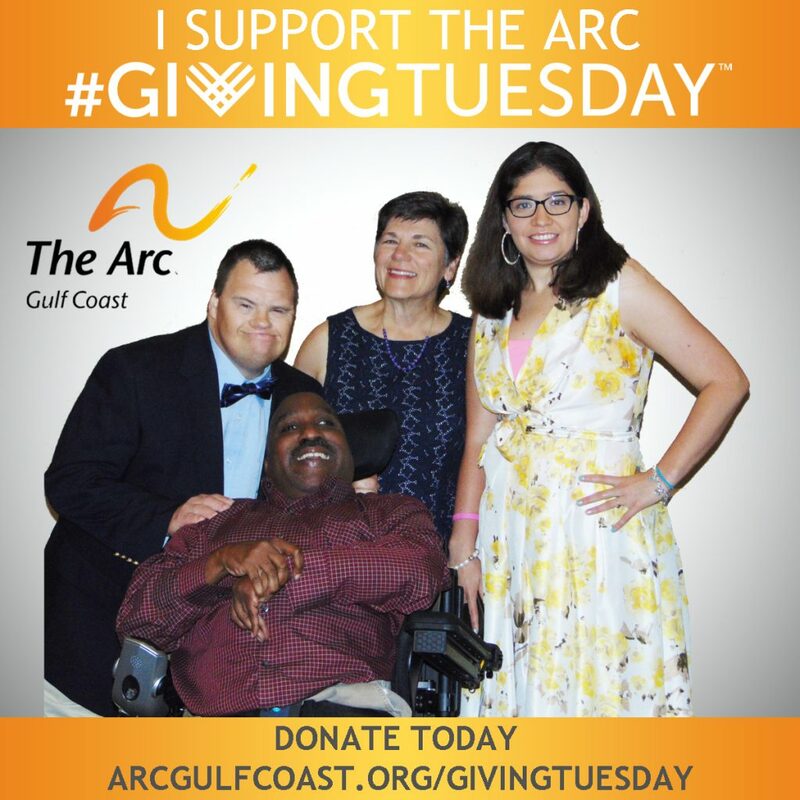 Use this photo badge on your social media to let others know you support the Arc of the Gulf Coast.